Yum! 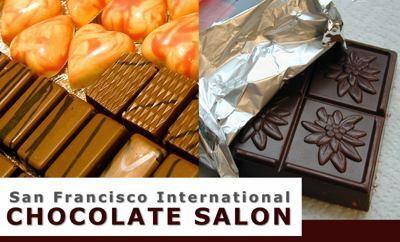 The second annual San Francisco Chocolate Salon is here on Sunday. Tickets are $20 and include lots of chocolate and espresso samples. It's enjoyable and worth the trip for any chocolate fiend. My Dad rolled his eyes when I said I was going to see a "chocumentary" next month. His loss! There are two screenings to choose from, and the film runs almost half an hour. Check out the website, which is colorful and appealing. and at festivals nationally and internationally. which involved lots of taste-testing and sampling. Loved today's chocolate salon adventure at Fort Mason. More Flickr pics here. Beer ice cream? Intriguing, odd, and interesting. Our waitress at the Ukiah Brewing Company--which is touted as the first organic brewPub in the nation-- recommended it, so we decided to give it a go. There were two beer ice creams, stout and porter. All flavors are handmade by the chef. As a dessert, beer ice cream tasted surprisingly good. I tasted a nice melange of flavors: nutty, sweet, vanilla, and of course, stout beer. The beer taste came through at the end, but it wasn't overly strong, bitter or off. It may be that using beer in ice cream effects the texture, which was a bit too icy. Once we stirred it up, it became creamier and more like what one can expect from ice cream. Not to worry if beer ice cream is not your thing. They also have mainstream sorbet and ice cream flavors. Or try what I found to be tasty cheesecake from Cheesecake Momma. Peanut butter fans may rightfully freak over the restaurants version of peanut butter pie. The Ukiah Brewing Company & Restaurant has turned into a hang out for the Pig Hunt crew. The brewpub has good, sustainable food and a mellow vibe. There are tables on a pleasant patio in back. On a grooming/fashion note, a majority of the men working and hanging out on one visit had ponytails or shoulder length hair. Someone recently asked me if I am a Super Taster, which is someone with high levels of taste perception. Uh, sure. As a consumer and foodservice product judge, I did receive info that helped fine tune my palate towards Super Taster levels. In those weekly three hour judging sessions, I was required to speak and write my thoughts on what was in the food, as well as a product's flavor and tastes. Going without alchohol, coffee, cigs, garlic and other strong foods in the hours or even night before the session made Super Tasting even easier. Although the training helped me identify ingredients and tastes, there are other ways to become a Super Taster. Get knocked up! Being four months pregnant** has meant that smells and tastes are stronger for me than they have ever been before. Grilled meat smells fill my nose whenever I walk the Miracle Mile stretch on Mission Street. Those meaty smells are in full effect if it's a Friday and the hot dog vendors are out. (It's easy to have a hot dog and finish with a churro on those Fridays). Salt, smoke, and sweet notes are much easier to catch. I seem to be able to taste salt during and throughout a meal, and am using less of it while cooking. It's probably not that the food is saltier, it's that my tongue picks up the presence of salt quicker and sharper. There are drawbacks, of course. Constant faux bread smells from the Subway at my work's entrance make me irritated throughout the day. Subway's bread always smells overly sweet. It's not even close to what bread should smell (or taste) like. Whiffs of other foods that don't belong together are jarring. Take this afternoon. I was enjoying a post-lunch chocolate chip and milk break at a bakery. Sweet, chocolate-y, baked notes made me smile. For a brief little while. The bakery also makes gyros (weird, huh? ), and lamb-y spicy notes suddenly swirled around me as the owner prepared an order. Rather than spit my milk out, I gobbled the last cookie bite and hightailed it outta there. **This will never turn into a pregnancy or baby blog. Gag! Boring! No way! Update: more pics and info on my December 8th SFist post. Also, check out my SFist colleague Derrick's post on this at his blog, An Obsession with Food. Chocolate has its politics, too. So says one artist. I checked out an exhibition by April Banks last night, and learned more about the global economy that feeds our chocolate demands. Banks seems to offer explanations on why chocolate is a luxury item that is produced and farmed by some of the poorest countries in the world. 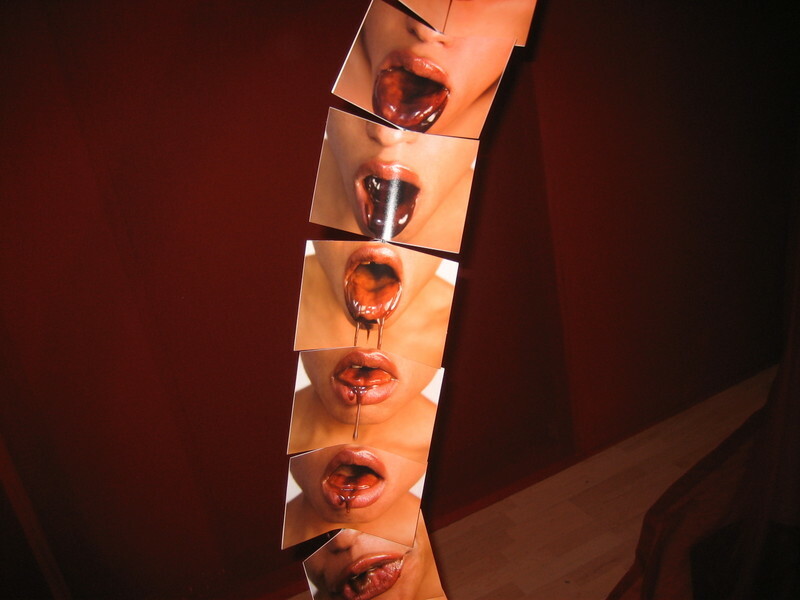 Some of her glossy images had a creepier side to them, and there were photos, sculptures, and graphic design to take in. She also had two ladies passing out chocolates, wearing t-shirts that said "Free Chocolate" and were available for $25 a pop. Upcoming related events for this exhibition will be a (free) conversation with Banks on Saturday January 27, at 1 p.m. There's also a (free) Fair Trade & Chocolate discussion on Wednesday February 7, at 7 p.m. with Tex Dworkin (Global Exchange), Ella Silverman (TransFair USA) and Tom Neuhaus (Project Hope & Fairness, Sweet Earth Organic Chocolates). I may go to the Thursday February 8, at 7 p.m. Heart Shaped Box Truffle Making Workshop, that is $5 to $20 sliding scale. Taste his fresh, holiday truffles including Hot Cinnamon and Lebkuchen (Gingerbread). Where's my clone when I need her? I am pining for a trip to Brisbane, to visit the Village Imports warehouse sale starting tomorrow. Sausages, wine, oils, vinegars, herbs, lemonade, cured meats, alcoholic cider, chocolates, and cheeses, come to Momma! One tip I picked up from my last shopping excursion there? On Friday, it's possible to "beat the crowds" by hitting the warehouse after 5 p.m. A super helpful clerk told me that everyone rushes on Friday to be there between 2 to around 4:45 p.m., and after that, it is more of a breeze. Less of a wait in line (wear a wool beret and bring an intellectual book or newspaper to really fit in), fewer people, all around better. The problem of 280 or 101 traffic once you pay and load up your car? Well, you'll just have to eat a cheese and chocolate snack before you hit the road. Believe me, it is worth the time and traffic to get all that Euro loot. Below is the text of an email Village Imports sent me. This message is an advertisement from Village Imports. You may opt-out from receiving future messages about our open warehouse events by Clicking Here. Village Imports will respectfully comply with your request within 24 hours. Village Imports understands the importance you place on the privacy of information that personally identifies you. You may access our Privacy Statement and read how Village Imports considers the responsible use of personal information to be an essential element in respecting your privacy. ©2006 Village Imports, 211 South Hill Drive, Brisbane, CA 94005-1255. All Rights Reserved. I haven't been much of a participant in this year's Halloween. No time for visits to my favorite pumpkin festival, pumpkin carvings, or squash decorations (Litquake, I am yours!). I don't want the day to go by without eating candy, though. Reese's Peanut Butter Cups, to be precise. I bought four different bags of candy today, to share with Oscar and my sister-in-law, Claudia. First, Oscar and I are walking around Noe Valley tonight with some friends. No costumes for either of us, although my eyeliner is Siouxsie/Elvira style: heavy, black, and rich. Our late(r) night plans may be either to return home to watch scary movies, or perhaps wander over to Mission Dolores. Don't get the cobbler at Highpockety Ox Restaurant in Boonville. Unless you enjoy disappointment. They break the rules and serve it cold, from the fridge. The fruit on a recent tasting was more like poached peaches that were far too firm. It was all wrong, wrong, wrong. The cold temperature and texture made me grumpy, and I only had a few bites. 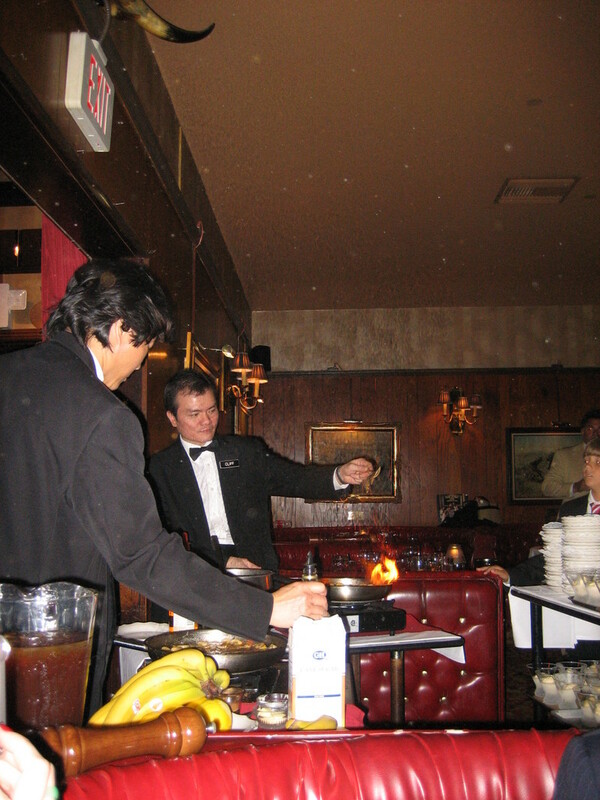 I asked the bartender (our server) if they always served the cobbler cold and he said, "Yes." Heresy! Cobbler should usually offer warm, fruity, homey sweetness. It is a baked, deep dish fruit concoction with a biscuit or crust topping, sometimes sprinkled with sugar, and served with vanilla ice cream or creme fraiche. The best part of a cobbler is the melded flavors and textures of warm fruit mixed with the dough. Berry cobblers can be especially nice to look at, because the fruit seeps into the dough in varying shades of red, pink, and purple. Although this week is busy, the cobbler cold experience is in my thoughts. I am determined to make a peach cobbler at home soon, so I can taste one that is correctly made. Watching a drunken elderly Chinese man hand crank an old horn, smiling and cheering the whole time, started off our Sunday morning. We were sitting with hundreds (thousands?) of other soccer fans, ranging from "fair-weather" to die-hard jersey clad. Dolores Park was the setting, and it felt gleeful, happy, and exciting to be there. A giant screen was set up for the broadcast and it was free to all, although donation boxes made the rounds a few times. The ratio of French to Italian flags favored France. The Italians were elsewhere: I found out later that many were in North Beach, at places like Steps of Rome, Macaroni Grill and the San Francisco Brewing Company. We brought Dianda's Italian American pastries (raspberry rings, raisin rolls, and apple turnovers) and Corona beer to tide us over til the match was over, after lunch. The liquor store was sold out of Italian beer, so Corona fit the bill of cold, light and refreshing. David & Anna were our links to the group, which also included other SF folks in their twenties and thirties. Someone said Amanda Berne would be joining us. She writes the Inside Scoop column for the San Francisco Chronicle. We used to talk often in cooking school when she worked in the vast library there. She's smart and sweet, and a whiz in the kitchen-we've catered together. Our sweets balanced the offerings of Kettle salt and pepper potato chips, hummus, Tostitos, edamame, cherries, sandwiches, champagne, juice, water, vodka, and more beer. The organizers announced over and over the rules: no drinking alcohol or parking on the left side of the street. Breaking the law was easy because there were only two cops on patrol to cite drinkers. Strategy was simple: keep an eye out for the cops, who only made their way through the outer edges of the masses. I tucked a bottle under my bare leg a few times when a cop was within thirty feet. Because Mexico is out of the World Cup, our allegiance fell to Italy, who David has been rooting for all along. He promised he'd bring a "real Italian" and his feisty, spirited Mom showed up later. It was fun to watch and ultimately join them in cheering, despairing and finally jumping up and down over the game. I guess we ran out of champagne, because David's Mom sprayed a small bottle of beer on those standing close enough to David. I liked the cold liquid after hours in the hot sun, but the smell stayed in my hair the rest of the day. A reminder of all that beer, soccer, and excitement. Strong cravings for salty fries had me calling Oscar at work, borderline begging for him to make a pit stop at Mega Mouth burgers on his way home. I was craving the fresh, chunky fries, washed down with a chocolate shake. Their fries are a marvel-thick cut with just enough brown skin left on, crispy on the outside, tender and hot on the inside. We went through a lot of ketchup dipping our fries, but we still weren't able to finish two orders, piled high on a big plate. An hour later, our apartment still smelled like fried potatoes, which made me smile and sigh with pleasure even more. Big Mouth Burgers, 3392 24th St (near Valencia), SF. T: 415-821-4821. It's easy to get out of bed and hit the road for work when a Dianda's Hot Cross Bun pitstop is on the schedule. For the next five weeks (until Easter, natch), the plan is to consume as many of the sweet yeasty pastries as possible. A Hot Cross Bun is a glazed, currant studded wonder, topped with a lemony custard frosting. The cross is a religious symbol for Good Friday. In Christian School as a child, I was taught the song "Hot Cross Buns," which reinforced the food-celebration connection in my young mind. Dianda's Hot Cross Buns include mildly sweet red and green candied fruit that seems like a gentle throwback. Hot Cross Buns make for a sweet beginning to the day, but can easily fill in your dessert table. The cheese platter has just gotten more exciting. Kumquats offer a pinch of puckery tart sunshine to any cheese course. Kumquats are small, compact orange colored fruit, meant to be eaten with the skin on (just be sure to give them a good rinse first). A chunk of Semifreddi's Fred Bread with a kumquat and runny brie is a particularly delicious combo. Although the kumquats look like tiny oranges, they are definitely more tart and strongly flavored. Biting into the citrus skin gives an initial rush of strong pucker power that lasts. I look forward to preserving some in sugar syrup, as well as introducing the kumquat to vodka. Pre-dinner cocktails never looked so good. The West Village store clerk guessed (hoped?) we were up to some debauchery as he rang up our 12 pack and Le Petit Ecolier dark chocolate cookies. Chocolate. Beer. Dessert of Champions. His eyebrows went up as he asked Oscar, "Both these girls... they are with you?" We all giggled awkwardly in response. A few minutes later, our host, Miss S, was "resting" (passing out) on her bed, in her cozy (small by our SF standards) West Village apartment. I put the beer away and opened the pack of cookies. Oscar and I sat on our own bed, in the dark, waiting to see if Miss S was out for the night. We nibbled away at the deep dark buttery chocolate cookies from Le Petit Ecolier. The thick chocolate is smooth, rich and balanced, without any offnotes. Having a cookie crumble and melt in my mouth just so was a sweet ending to a wonderful night in the city. 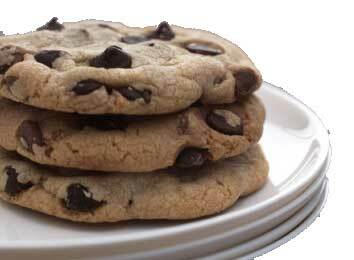 Days later, Miss S claimed to not like chocolate cookies, and insisted we pack them for the trip home. (She also mentioned not wanting to get fat.) Vacation memories continued as we nibbled the chocolate cookie treats while sitting on our faded couch back at home in SF. "They're so good," Oscar said, as we dabbed our mouths with napkins, and giggled at finally finishing the package. The "Little School Boy" is welcome to visit us anytime.